The Club Computer Security in France (CLUSIF) presented its 2012 overview of cybercrime on January 17th: last year has been indeed marked by increasingly diverse attacks and “cyberwar”. In 2011, CLUSIF had identified the emergence of threats for mobile phones that have been confirmed: sending premium SMS on mobile botnets have become very fashionable. And all mobile operating systems are being affected by this type of scam. 2012 was the first year to see cyber-conflicts becoming more formalized: Iran has developed its military approach to fight against cybercrime, France and Brazil have defined a purely defensive doctrine, while the United States took a clearly offensive approach. Hacktivists and states are fighting as warriors in the cyberspace. And preventive states strikes have also been thought of. In addition, attacks and infiltration operations have been conducted by the Syrian government against opponents. It seems that some opponents have even been tortured to reveal their computer access codes for the government security forces to integrate their network. Conflicts led to dematerialized targeted attacks such as the ones which struck the Georgian or French governments. Many attacks have also affected companies. 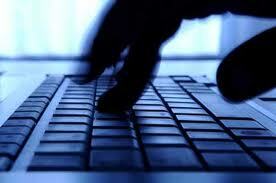 Several states, including Western states have been accused of cyber attacks. But proving such claim is complicated, since the connections between some groups of pirates or identification of shared control servers must be made clear. This does not prevent cybercriminals from botnets develop increasingly sophisticated: the ransomwares – these malwares blocking computers or mobile phones in exchange of a ransom have become common. Therefore sharing the same operating system for PC, tablet and smartphone (Android, Windows 8 …) increases the risk. Hacking has also become a booming business with cybercriminals who sell their attack expertise, sometimes even with assistance services and guarantees. The attacks have been carried out with various objectives, such as extortion, hactivism and cyber terrorism. The procedures also vary: targeted fishing attacks, an email with corrupt or the injection of a malicious code into a website. To avoid such problems, opt for a VPN today. Through its technology, a VPN or Virtual Private Network allows you to establish an encrypted VPN tunnel to a host (or server) on the Internet. You can surf anonymously, without restriction, and it is impossible for others to intercept your traffic because of the VPN server. Your Internet activity can’t just be spotted. After activating a VPN, your IP address is automatically replaced by the IP address in the country where your server is based. This almost makes it impossible to track your position and helps you to reduce your online traces.